I went across the world last month, and felt like I was in my backyard. It’s the oddest thing to wake up 16 time zones away and feel like we were only in Vancouver or San Francisco’s Chinatown. We landed in Taipei, Taiwan in the dead of night. My boyfriend and I were visiting his sister, an English teacher in Taiwan’s 3rd largest city, Tai’chung. Both of us had traveled internationally before, thought not extensively enough to remember that we needed to have Elisa’s address with us in order to get through customs. But in the rain, and at night, the city felt just like any other. The bus driver’s broken English would have been at home in any major American city. It was the strangest thing–to know I was so far away from home, and yet not feel it. I suppose it had to do with expectations. and the amount of time that I gave myself ahead of time to think about and get excited for landing in Asia for the very first time ever. Or the taxi driver who told us his name was James Bond. Or attending Tai’chung’s Banner Church–a service half in Mandarin, and half in English. 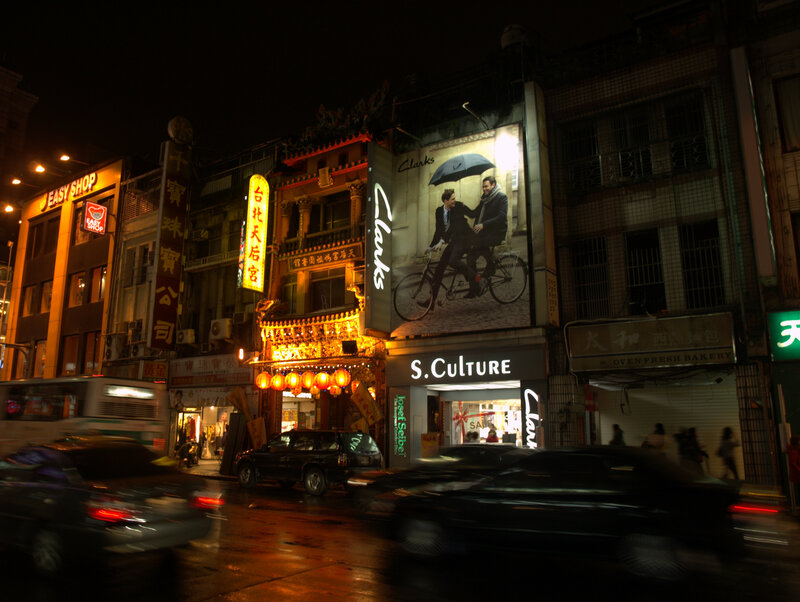 Or simply walking down the street at night in Taipei, when the city has gained a second life of eaters, shoppers, and socializers. There were so many of these moments, and it took me a while to warm up to them–to stop and enjoy them. I like to say that I’m up for anything, but subconsciously that can mean only a certain kind of anything. And that makes me miss the little anythings that are so unique when you spend time in another culture. I can be hyper-prepared to record all conversations and occurrences, or I can miss them all. It’s so hard to strike the balance!